While time is a finite resource, energy is infinite, although it may not always feel that way. That is because it doesn’t just happen by itself, you have to establish rituals to build energy. Individuals and businesses that understand this succeed and as a result both the individual and the business grows. Managing energy in the build-up (or countdown) to live might be one of the most mentally and physically challenging parts of a project. Energy has, in this last week, been in short supply, it’s been a week that has challenged even the most match fit of us. When times get challenging some of the most successful techniques I have used to keep energy positive, are to keep to the routines and habits that I rely on to keep my physical health in a good place, and to create the space that allows me to step back from the chaos of getting sucked into the task level detail to think. In different projects, as we get close to live, I have created personal challenges to keep myself healthy and focused. 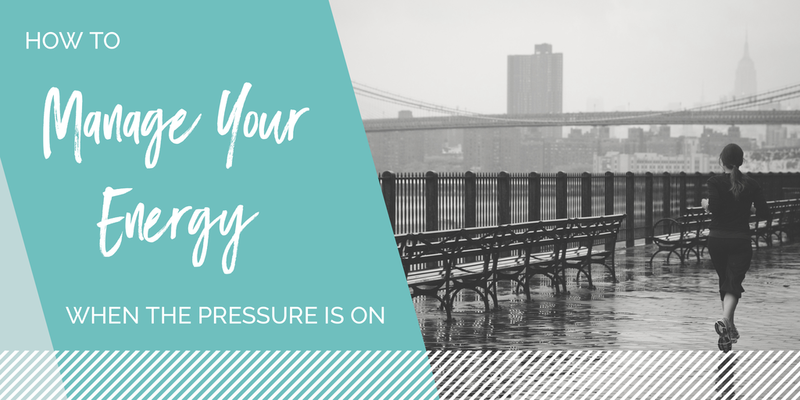 Like cutting out drinking or going on a yoga challenge in the last month of the project, it sounds like, ‘not the best time’ to add to the pressure but in a way it works. If you don’t have a chance to think about and create excuses for yourself then in some ways, it makes it easier to complete a challenge. So, my personal commitment to the continuation of my energy was to continue to exercise each day and to at least get to 25km per week in what refer to as my ‘running’ routine. I am not really a runner. I started to run because I hated it so much, it’s one of those things that I have learnt through yoga – to embrace the thing that you most dislike, to make friends with it until it becomes neutral in terms of emotional energy and to let go of the effort that you spend in dislike. If you can let go of that effort, there is so much more energy available for many more positive experiences. This week has been a tough one; this project feels like every single thing that can go wrong has… it feels like surely if the universe has some semblance of fairness about it, it’s our turn to have something go our way. In the beginning, the team made a choice to go with the new platform, and the knock on effect that was accepted was an eight-week delay. That was a choice made with the clear intention that it was the right decision long term. When building 8 or 9 sites on a platform, it makes sense to go with the new platform and take the hit to timeline early in the program. That was our starting point, but it was OK because we had thought of every possible thing that could go wrong and planned for it, we had grilled the vendors, and yes they thought they had thought of all possible things that could go wrong and planned for it too. We had built out all the contingencies… Or had we? There were a few unexpected items. The ‘minor’ upgrade that was a complete rework of the backend and took four weeks to finalise… the delayed feature deliveries as a result of the upgrade, the less than impressive QA, our own appalling data creation processes. And finally, just as we can see the end, a security patch release that will require a total end to end regression testing from our team. That doesn’t even touch on the personal stuff… surgery, gastro, pets that needed nursing and partners that took ill, real estate and renovations, parents who visited, milestone birthdays and the occasional sporting event thrown in for good measure… it’s the colliding chaos of so many lives and reworks to allow people to juggle work and life. Our part of the team has been pretty stable – not so at the vendor, where we’ve had multiple changes of team members and leaders. Key people were dropping in and out and travelling and not being around to create continuity. I had this great project sponsor some years ago who used to refer to a ‘sense of humour failure’ almost like it was an emergency worthy of a triple zero call. He would point out anyone in a meeting who looked like they might have ‘lost’ their sense of humour (which in project speak is shorthand for a basic loss of the ability to take a number of unexpected things going wrong all at once and adjust for it). His approach was pragmatic and uplifting in the moments when things were not going your way. It’s something I have sought to emulate in the way I have worked with project teams ever since, there’s always an ironic moment, a funny side, a lighter way to see things. Not so say that we don’t treat problems seriously or deal with delays with a sense of urgency, but there are moments where we all need just to laugh, at ourselves and the circumstances. When there are delays, people want to know why (not a big surprise really), particularly the people who are paying for the project. They want to know what’s being done about the specific things that are holding the team up and how long resolutions are going to take. Software is a fickle beast. It can take a great deal longer (and shorter) than you think, sometimes a problem that seems enormous can be solved with a setting change or one fix. Sometimes things that look minor on the outside are a result of multiple things going wrong in the background. None of us like to be left wondering, just think about when your flight runs late. We prefer to know what’s happening and what’s being done about it than just left sitting and wondering at the gate (even if the average passenger has no idea what a reverse thrust is it does give some comfort to know that someone is fixing it and that you’re not going to go flying in the plane where it’s broken). Between project team members and vendors, between stakeholders and end users, between sponsors and managers. It’s of critical importance. If you don’t communicate what’s going on and what’s being done about it when people start to worry and worry creates anxiety and that can turn into guesses and whispers. Clarity is required when a project is behind time. So I am reminding myself (and others) to keep well mentally and physically, to stay in touch with the lighter side of life and to remember to over-communicate to all stakeholders. Make a personal commitment to staying well physically, and try your very best to keep to that (remember the Truman rule of “I pray every day for 1 hour, except for when it’s really stressful. Then I pray for 2 hrs a day..” it’s so much more important to keep your physical and mental focus when there’s a lot on. A loss of humour can be fatal at certain points in the project. Taking a step back focusing on quality and keeping the intentions present for the team helps when things are not working to time, try to see the lighter side and if there is no lighter side create the opportunity for a laugh. Communication to all parties within the project team and in the wider organisation is critically important. Do it even more frequently than usual. Are you are about to embark on a project and you know the demands of the project will result in putting in longer hours and having to juggle many responsibilities? Sometimes it helps to talk through the approach with someone that has been there. We support retail change projects through project management and business process improvement. Get in touch; we would love to help you out.